Not far from Mexico City there is a city that has stood empty for the last 1,900 years, but once it was one of the largest Mayan cities. Teotihuacan was a vibrant culture, but for some unknown reason it collapsed centuries ago. The ruins have been an enticement for squatters, archeologists, and tourists; yet there are parts of the city that are still unseen by humans since the fall of the civilization. One such location is a subterranean burial site. Ten years ago, archaeologists discovered a tunnel under the Temple of the Feathered Serpent, which appears to have been a processional walkway, leading to royal burial chambers. Mayan burials seem to follow the method used by the Egyptians, who buried their Pharaohs underground and then sealed the tombs, as this walkway was also intentionally buried. 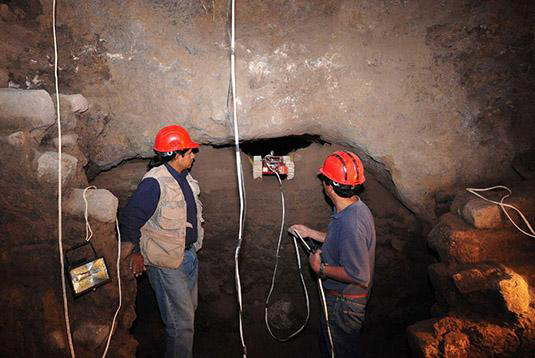 Today, archaeologists are using a small robot, which was designed to go where no man can. The 3-foot-long wireless robot known as Tlaloc II-TC maneuvered through the tight spaces leading to the back of the tunnel beneath the Temple of the Feathered Serpent (Temple of Quetzalcoatl). It's equipped with a video camera as well as mechanical arms to clear obstacles. Archaeologists expected to find one chamber, but instead they found three, but because they were obstructed with mud and debris, the chambers have not been explored in modern times. Using the robot, archaeologists made an unprecedented discovery of hundreds of mysterious metal spheres with an unknown purpose. They range from 4 to 12 inches and have a core of clay with organic matter. The core is covered with pyrite, a mineral that underwent a process of oxidation and became jarosite, giving the spheres a yellow tone. In 2003, after a period of heavy rains, a small seep hole was opened up near the base of the pyramid. That small hole turned out to be the beginning of the tunnel network now being explored by the robot. Clearing of the tunnel is underway now with the hopes of finding burial chambers. Archaeologists are testing a drone at the abandoned colonial era town of Mawchu Lllacta in Peru. It was built in the 1570s on the site of a former Inca settlement and mysteriously abandoned in the 1800s. 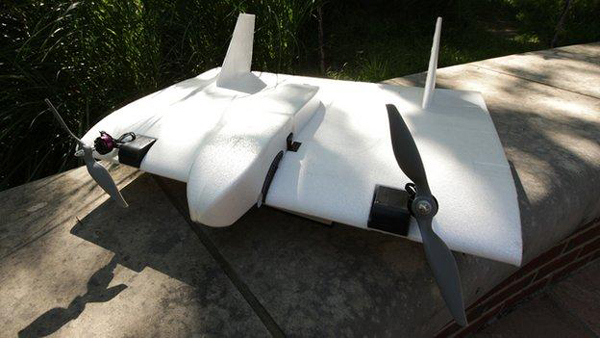 The drone fits in a backpack and is expected to return 3-D images more precise than satellite photos. After testing at this site, plans are to use the drone to catalog other archaeological sites, some of which have been lost between the ravages of time and development. 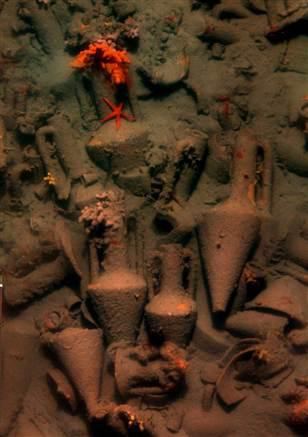 Sitting on the bottom of the Aegean Sea is a fourth century Greek merchant ship that sunk with a cargo of 400 ceramic jars filled with wine and oil. Robotic technology is the only way to reach deep shipwrecks like the one at Chios, which lies in 200 feet of water. MIT and WHOI researchers have accomplished in two days what would have taken divers years of effort. They used an innovative autonomous underwater vehicle (AUV) to make a high-precision photometric survey of the site. The AUV scanned the scattered cargo and created a topographical sonar map while collecting thousands of high-resolution digital images, without ever physically touching the shipwreck. In all, 7,000 images were collected on four dives. WHOI archaeologists and engineers are assembling those images into mosaics that depict the features of the shipwreck with unmatched clarity and detail. Archaeologists speculate that a fire or rough weather may have sunk the ship. The study of the Chios shipwreck is part of a project that aims to examine ancient trade in the Mediterranean during the Bronze Age (2500-1200 B.C.). The study will focus on the Minoan and Mycenaean cultures and their trading partners. In the Great Pyramid, the Queen's chamber, belonging to the pharaoh's wife, has two shafts that have been nothing but trouble for archaeologists. These shafts appear to go up but do not vent outside. Two robots have been sent through the shaft in the past, but both failed. So, researchers have built a third, which they hope will be able to get through any and all doors that stand between it and whatever is at the end of the shaft. This camera uses a wide-angle lens surrounded by six high-intensity LEDs for optimum light. 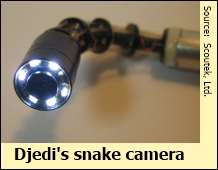 Mounted on a snake-like appendage that uses miniature servos to operate its mechanical muscles and tendons, Djedi’s camera is capable of a full 360 degrees of motion. With a diameter of less than 0.3,” the micro-snake fit through the existing hole in the blocking slab and saw the second door. Ultimately, these shafts may point the way to a secret burial chamber where Khufu (Cheops) was buried. While the pyramid has three known chambers (one of which contains a sarcophagus), the true burial place of the pharaoh has yet to be found. It is believed that the three chambers were built to deceive grave robbers. The real tomb of Khufu has not yet been found, and these three doors could be the link to his burial chamber. Of the 123 pyramids in Egypt, none with this type of door have copper handles. This robot has an excellent chance of being the first to see the end of that shaft in nearly five millennia. But the exploration was halted by the recent unrest in Egypt. Mapping and digitizing archeological sites is an important task to preserve cultural heritage. Current systems typically rely on static 3D laser scanning technology that is brought into archeological sites by humans; but some areas are inaccessible, except by autonomous robots. The ROVINA Project broadens this line of research as an autonomous vehicle with respect to the mapping of areas of high archeological value that are not easily accessible. To map cultural heritage sites, it will combine innovative techniques to interpret vision and depth data while developing advanced techniques for the safe navigation in delicate locations. Thus in the future, an autonomous archaeological robotic excavation system could be deployed in these and other extreme landscapes. The design of the robotic system, including its instrumentation and motion controls, descends directly from the fields of medical and construction robotics. Each robot arm can hold fine tools of meticulous research, as they carefully dig down into the dirt and rocks, inch by inch to reveal the hidden treasures of history.